If you appreciate good music, you have some ways to be involved, such as karaoke, playing instruments (real instrument or Rockband equipment). If you appreciate good sport, you also can be involved by playing the game, or by playing the simulation. In this website you can find all the recipes I have ever posted. 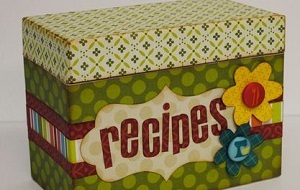 I cook the recipes multiple times, I often think of improvements and update the recipes. So keep in mind that what you see here is a work in progress. Please feel free to browse! If you try one of the recipes on this archives, please leave constructive feedback in the comments.